Flexibility is key for our schedule! The first week of being a Postulant has demanded a great deal of flexibility in schedule: Sunday and Tuesday we started with morning prayer followed by mass away from the friary (though none of these events took place at the same time or location), while Monday and Wednesday both took place here at the “normal” time; class/meetings took place in the morning Monday, Wednesday and today, in the afternoon Sunday, Tuesday and Wednesday, and in the evening Sunday and Tuesday; and yet on a day like today, we have a block between 11:00-5:15 with nothing to do. Part of this is just the case of it being the first week and not wanting to overwhelm each of us with a strict schedule. We are more than grateful for that! The other part is simply the nature of the Postulant year: we’re being taught to be flexible. 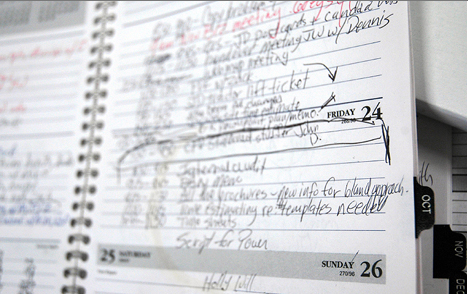 Though we may all like to have our neat and tidy schedules, there are exceptions to every plan, both foreseeable and unforeseeable. The “plan” for each week consists of morning prayer, mass, breakfast, evening prayer, dinner, and night prayer almost every day. On Mondays and Fridays we will have Franciscan spirituality classes, Monday evenings will be for spanish classes, and Tuesdays, Wednesday, and Thursdays for ministry site visits. But as our schedules would indicate, there are as many exceptions with this routine as there are in the English language, and it is just as difficult for someone to remember them all. Some of the “planned exceptions” include: experts coming in to hold one to three day seminars on various topics, attending conferences in places like Cincinnati and Chicago in the middle of weeks, taking day trips around the province to familiarize ourselves with other friars, spending a week at both a Benedictine monastery and a Franciscan hermitage, and attending various one-day events, seminars, meetings, socials, and classes. Even still, we’re prepared for cancellations and additions on a daily basis. In the end, as crazy as it sounds, it’s not a problem at all. Like I said in my earlier post A Rush To Slow Down, the purpose of this year is to form a spiritual and communal foundation that will allow each of us to live a Franciscan life and deal with all the craziness that comes with loving so freely as they do. It might be easy (or easier) to spend time with God in prayer and personal reflection when nothing is going on and there are countless free hours in the day; it is quite another to do so amidst crazy schedules, fatigue, tragedy, endless problems that need immediate action, and so on. God and self are the first two priorities cut when times get tough or we’re too busy. We must always remember though, even the night that Jesus was betrayed and arrested, he spent time in the garden praying (Mt 14:32-42); even though the expensive oil could have been sold to help the poor, Jesus tells his disciples to cherish their time with him (Jn 12:3-8). In a world that is far from routine, we must always find time for our source of strength, Christ, so that we may be a sign of His constant, unchanging love. That’s what I’m training for.